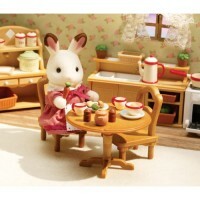 Let's journey into the miniature world of Calico Critters! 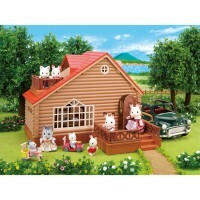 These downsized toy animals playsets are so cute to play with! 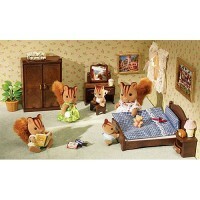 Just look at the Calico Critters Master Bathroom Set. 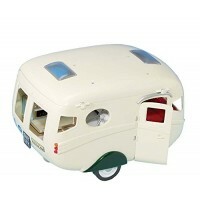 Created to the littlest of details, this washroom will provide endless make-believe fun! 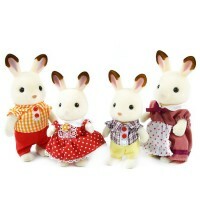 You can pretend to shampoo, shower, brush your teeth and so much more with your little toy figurines. 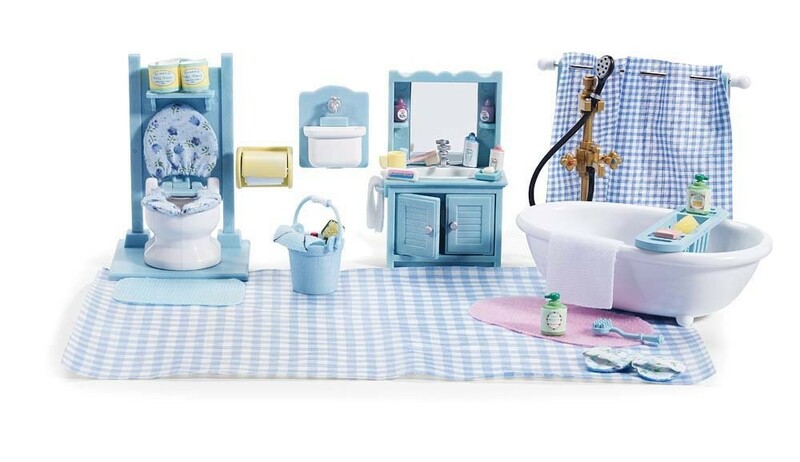 The toy bathroom set comes with a bathtub/shower, a shower curtain, a toilet, a sink with a mirror, a rug, and amazing smaller items such as slippers, cups, soaps and towels. 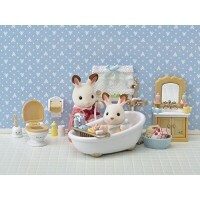 Calico Critters Master Bathroom Set gives a lifelike representation of an actual lavatory; everything's so realistic even we are in awe! 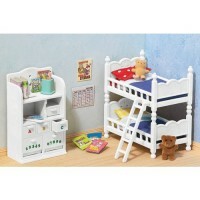 This doll house furniture bathroom set will complete your Calico Critters play house. Your child will love the connections they can make to real life through the toy. 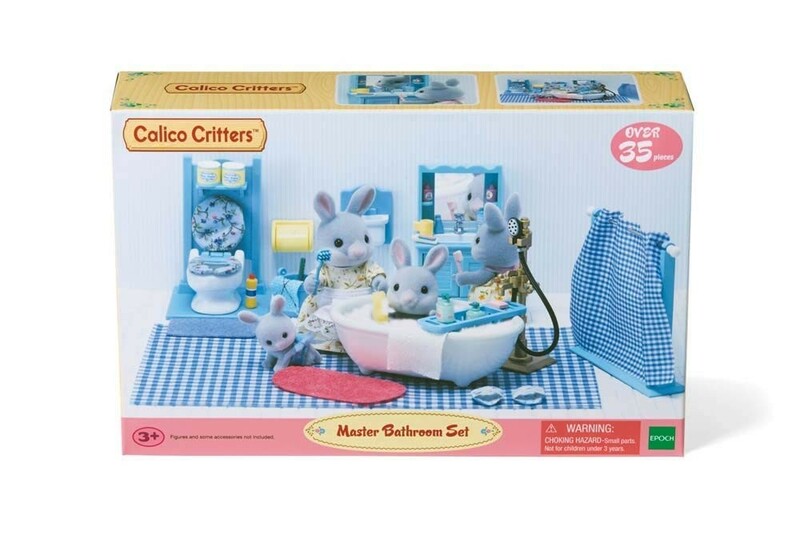 Please note, the Master Bathroom Set does not include the Calico Critters animals, these can be purchased separately from Educational Toys Planet. 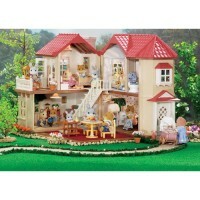 Write your own review of Calico Critters Master Bathroom Set.